It has never been easier for writers to publish their books than today. As a writer yourself, all you have to do is visit Amazon’s Kindle platform, to easily write and publish your potential bestseller Kindle eBook. Take a look at some of the books we’ve published on Amazon Kindle. Besides being so easy to use, there are a lot of reasons that make it worth publishing a Kindle eBook on Amazon.com. Here are 5 of them. 1. 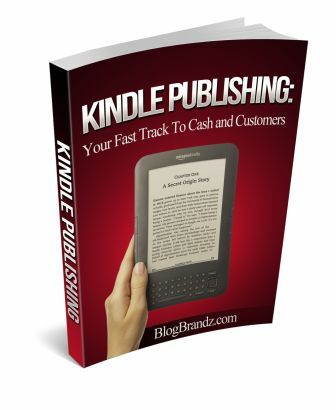 Publishing your Kindle eBook is easy. 2. Traditional publishing is difficult. 3. Kindle ebooks can be read on many devices. 4. Self-publishing is a profitable venture. 5. You can boost your credibility and expert status. You just have to write your book in Microsoft Word or any other word processor and follow the few steps mentioned in Amazon’s Help files. Depending on your skills and the speed of the computer you use, the formatting of your book can be completed in half an hour. It is difficult getting contracts signed with traditional publishers, and also difficult getting your book published through them. Moreover, with margins dropping in the industry, you have to be careful signing contracts with companies that may soon shut shop. If you get involved with such a publisher and the company collapses, it may take years before you can actually publish your book elsewhere. If you publish your Kindle book on Amazon.com, this is not something you will have to worry about. There are no contracts to sign (other than Amazon’s Terms of Agreement), and there is no chance of Amazon winding up their operations for many years to come. The greatest benefit of publishing Kindle eBooks is that people can read them using any digital device, not only a Kindle. As long as you use Amazon’s apps, the eBook can be read on iPhones, iPads and your desktop computer. While top-selling authors make millions of dollars, you at least have the possibility of making a decent income and the satisfaction that your book is finally published. Moreover, with Amazon’s Kindle sales growing rapidly, and the average income of their customers around $80,000, you can be sure they have enough money to spend on whatever you offer, and thus help you raise your own income levels. Once you are on Amazon’s Kindle as an author, your credibility and expert status on your niche improves. This in turn ensures you do well in your sales, and even plays an important part in branding you as an expert in your niche. It also helps create a marketing funnel you can use for marketing backend products and services you have to offer or for getting booked for speaking engagements. This, in fact, is one of the major sources of income for self-published authors. Remember that you don’t need a large tome to make it big on Kindle. All you need is to provide useful content to people that need answers to all the questions you can answer. Once you provide them information they need through an Amazon Kindle ebook, you will be considered an expert they can rely and trust on, even with your future publications. Amazon’s reporting an increase in sales of Kindle books, proves that the ebook market is not dead, but has expanded. It is because of this huge market for ebooks that many authors today prefer to first self-publish their works instead of opting for traditional print publishing. It will be great to tap into the opportunity the Kindle can provide. A lot of people read these days from their Kindle and if you are a blogger or content creator ignoring this population or audience you may just be missing out on a huge opportunity. Publishing on Kindle won’t just give you an opportunity to reach a wider audience but can also go a long way in helping you establish your authority in whatever niche you are into. Spot on, Sagar. Let’s hope many more authors jump on to the possibility of Kindle Publishing.